If you suffer from loose, ill-fitting dentures, you will understand what a huge problem they are and how they can affect your whole life. Insecure dentures can damage your confidence and reduce your ability to talk and eat, which means you are no longer able to enjoy your food and may avoid social situations. If this sounds familiar, please speak to us about implant dentures. Implant dentures can be life changing. By placing a small number of dental implants, removable dentures can be securely fixed into place giving you the confidence to talk without embarrassment and the ability to eat without your dentures moving. They can also help support your lips and cheeks to give an improved appearance. Different types of implant-retained dentures are available depending on individual patient requirements and all systems are far superior to traditional dentures. Your dentures will be carefully crafted to look natural and will help boost your appearance. Why choose Stephen Emms Advanced Dental Care? 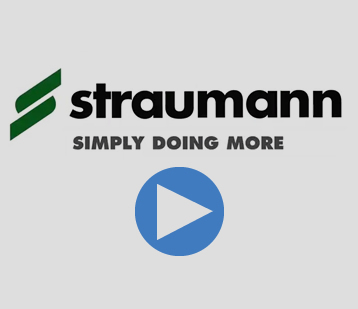 We use the world-renowned Straumann Implant System, which is backed by many years of research and development and is highly regarded in the industry. Please click here for more information. Do you offer a free consultation for dental implants? Yes. Please visit us for a free, no-obligation consultation to find out more. My smile and confidence have grown so much.